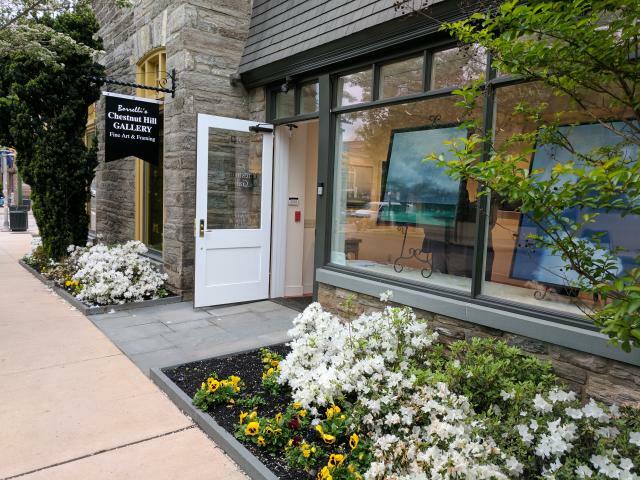 Borrelli’s Chestnut Hill Gallery is located in the heart of historic Chestnut Hill, Philadelphia at One East Gravers Lane right off of Germantown Avenue and amidst Gallery Row. 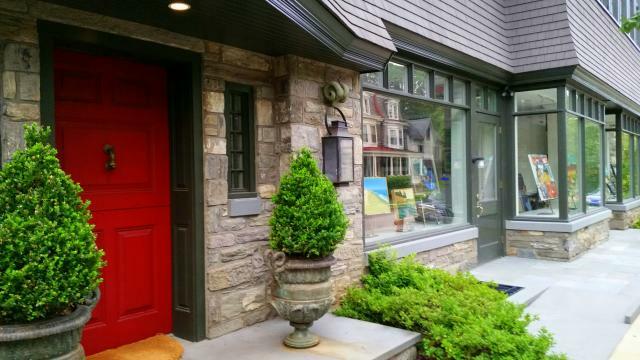 Our quaint, tree-lined shopping district features 120 unique shops, restaurants, galleries and other cultural institutions and is an easy trip from either downtown Philadelphia or its suburbs. 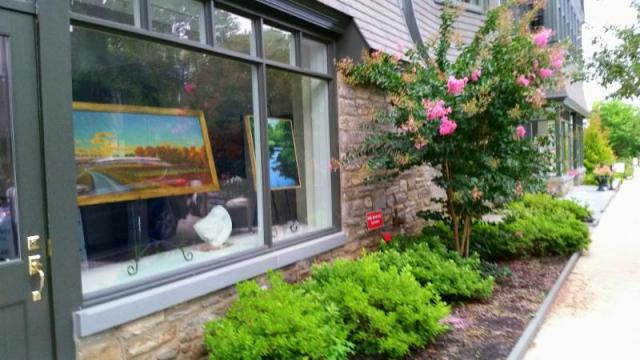 Borrelli’s Gallery features a wide variety of artists from the traditional to the more contemporary. We are delighted to represent many renowned, well-established artists, but also are proud to provide a place for new and emerging artists to showcase their talent. The result is a wonderfully rich and diverse collection of original artwork in many mediums including oils, watercolors, acrylics, multi- media and silver-gel photographs of landscapes, stills, figures, abstracts and sculpture. 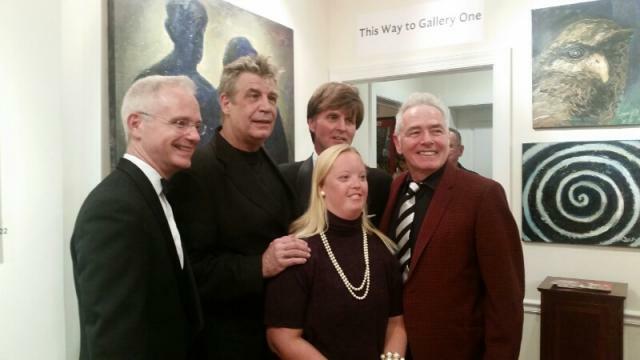 Gallery partnerships include such notable artists as HBO-featured artist Chuck Connelly; Nationally-acclaimed American realist, Neal Hughes; PAFA legend, Phil Cohn; Chestnut Hill favorites, Paul Rickert and John Lear; Local urban folk artist, Robert Arnosky; vibrant landscape painters Sandra Hoffman and Gail Bessette; expressive watercolorist Susannah Hart Thomer, and primal surrealist Alfred Ortega and latin folk artist, Marta Sanchez. Our Main Gallery features recent work by up to four artists with a new exhibit featured every two months. 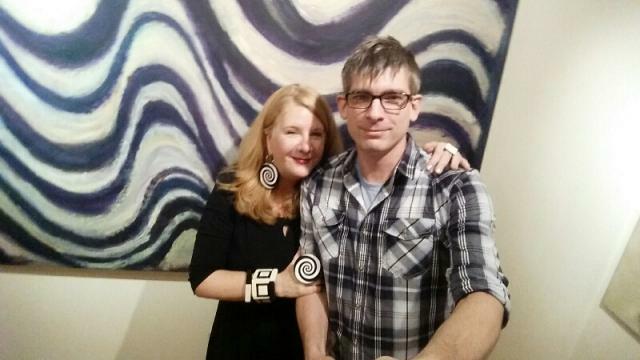 Be sure to join us on exhibit opening nights for wine and appetizers and to mingle with the artists. 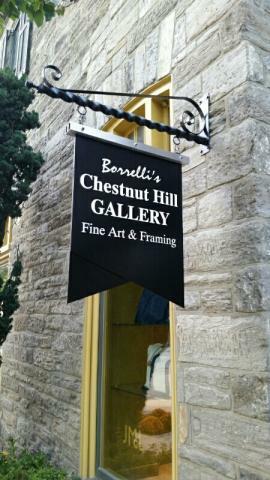 Borrelli's has two other galleries which feature an inspiring and eclectic mix of work by many of our in-house artists. We carry an extensive inventory of work to suit a variety of tastes. Let us help you find the right piece for your room or office. We collaborate with local businesses, authors and literary art centers for special events throughout the year, so sign up for our MailChimp newsletter to stay posted. The Gallery also houses a full-service custom framing center offering everything from restoration to museum-quality framing. The large selection of moldings range from hand-finished gold-leafed frames to budget-conscious priced moldings. Our competent staff will help you select the perfect mat and frame to compliment your piece. The Gallery is certified by the Professional Picture Framers of America (PPFA) and does all custom framing in-house in a stand alone workshop by experienced and meticulous picture framers. 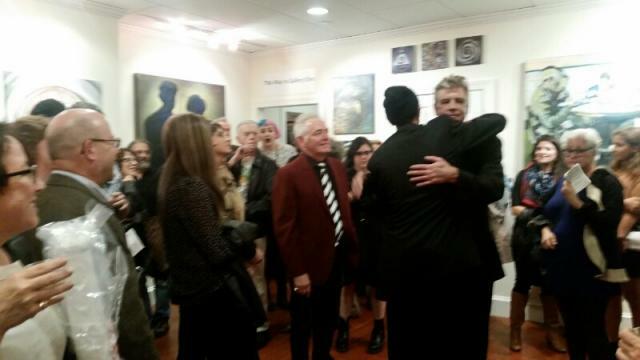 It is a stated mission of the Gallery to support and nurture the thriving local artist community. 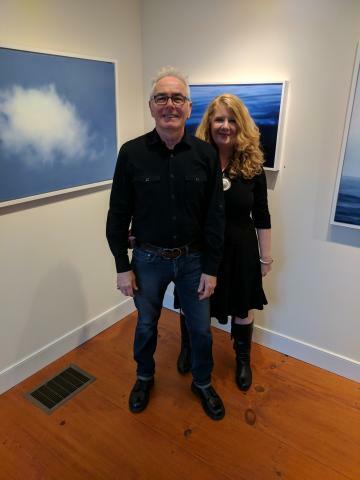 Borrelli’s Chestnut Hill Gallery is owned and operated by Joseph Borrelli and Suzanne Sheeder.